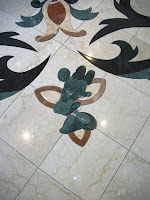 Remember that whole ‘look up, look down, look all around’ mantra I spout off about regularly? 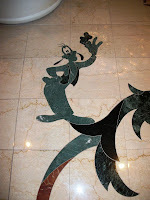 I know it sounds like a movement activity for preschoolers, but that doesn’t mean and cannot bring with it valuable awards. 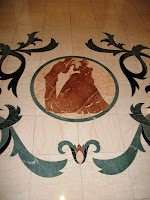 Such is the case of walking through the Grand Floridian. Ornate tile murals are common in Walt Disney World, you have to look no further than the Contemporary’s Grand Canyon Concourse or the breezeway of Cinderella Castle to see examples of this beautiful art form, but the tile mosaics don’t often play host to foot traffic. 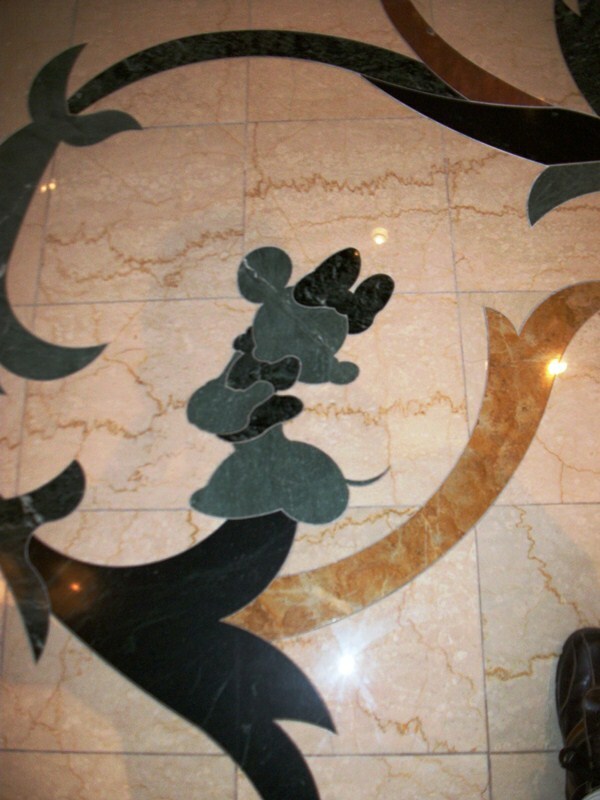 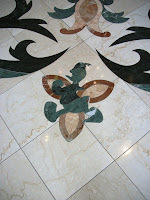 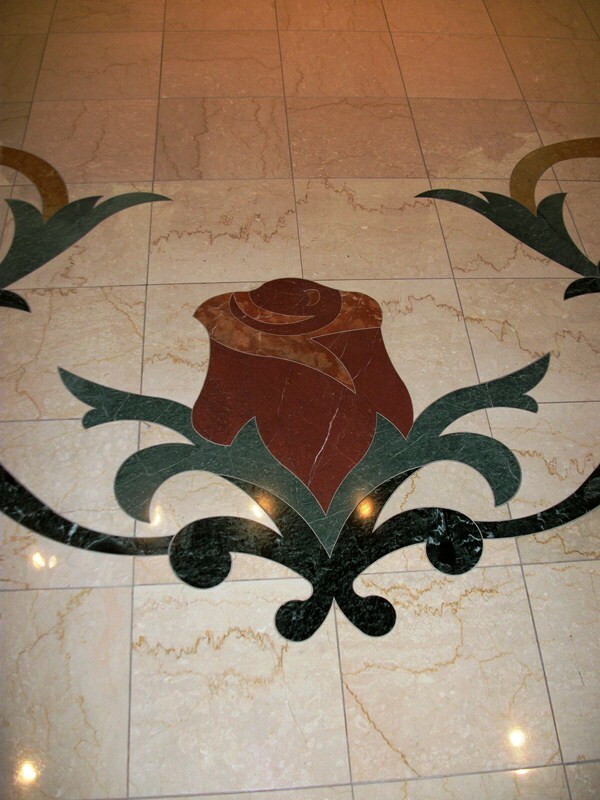 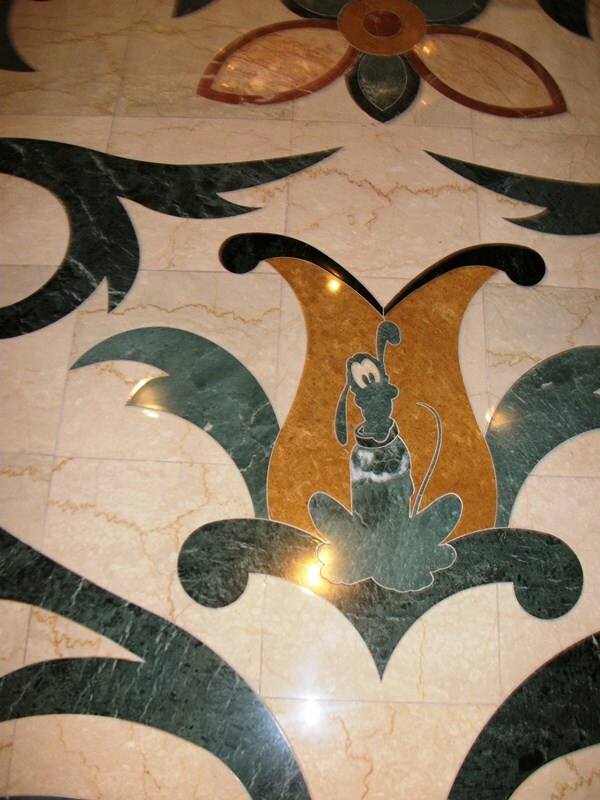 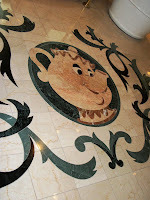 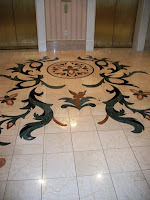 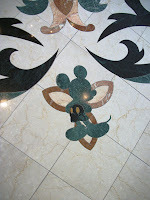 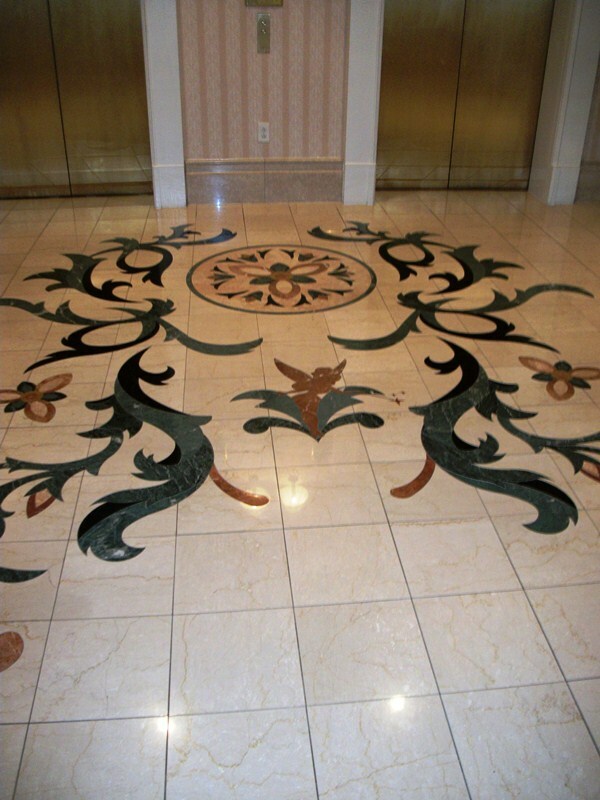 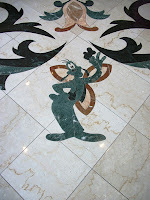 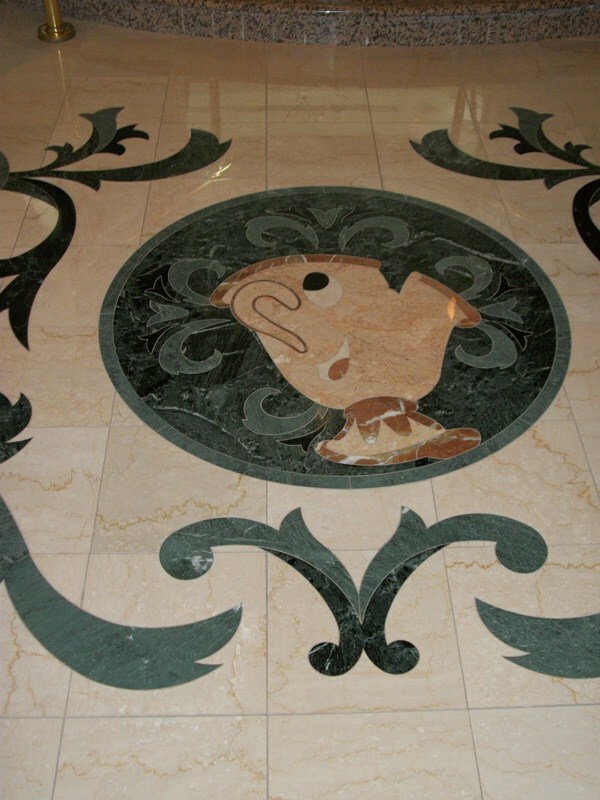 At the Grand Floridian, both on the lobby level and the monorail level, characters are gracefully entwined with the intricate floral patterns present along the walkways. 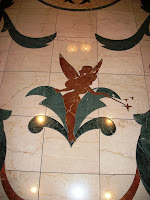 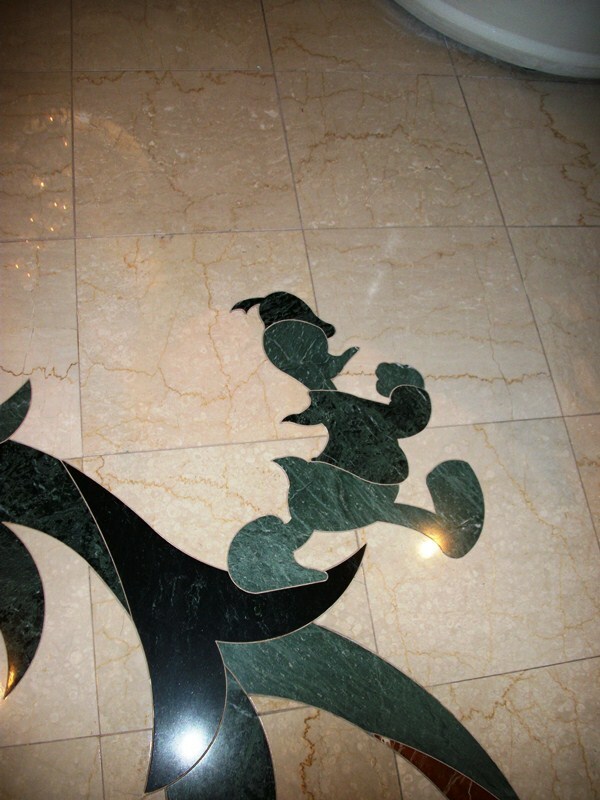 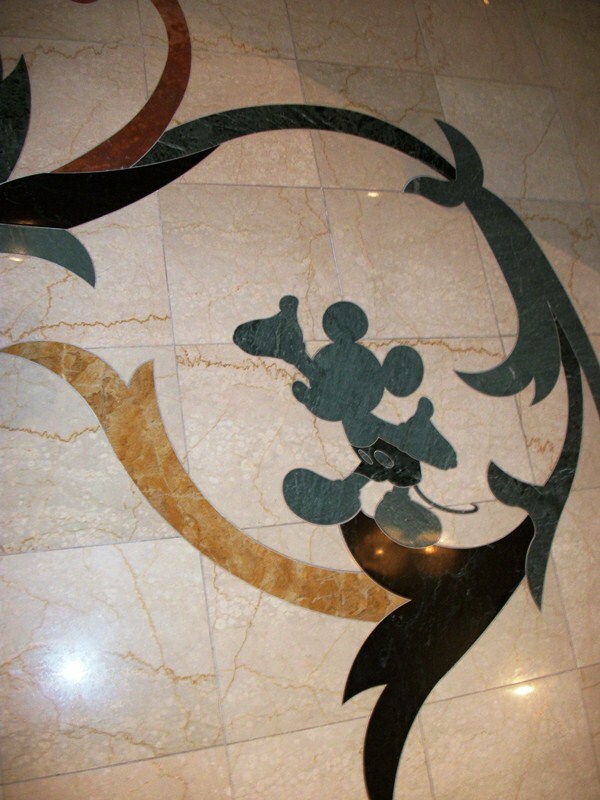 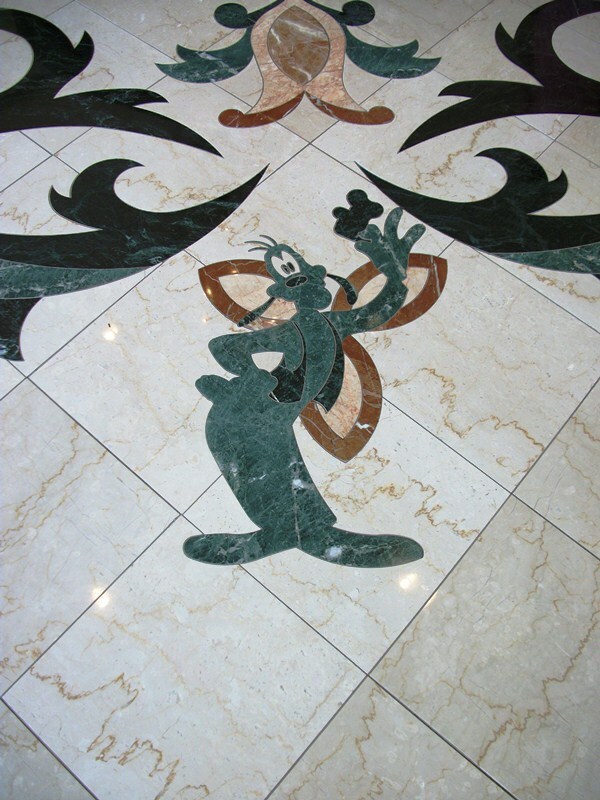 Everyone from Mickey and Minnie to Chip, Cinderella, and even Tinker Bell drop by to leave their own marks on these beautiful tiles. 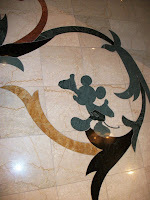 These *are* a few of my favorite things!